A bakery based in Wiltshire has been sentenced at Swindon Magistrates’ Court and fined for safety failings that led to a worker being injured while using a powered mixer bowl. The worker was producing confectionery items when his wedding ring got caught by a an unguarded attachment on the rotating shaft of the powered mixing bowl. As a result of this, the worker had to have part of his ring finger amputated. The incident, which took place on 3 March 2015, was investigated any the Health and Safety Executive (HSE). Inspectors found the Haydens Bakery had modified the powered mixer bowl by adding a securing clip. However, they had failed to assess properly the increased risk posed by adjusting the machine. Therefore, the case was taken to court. Haydens Bakery pleaded guilty to breaching Regulation 11(1) of the Provision and Use of Work Equipment Regulations of 1998 and Regulation 3(3) of the Management of Health and Safety at Work Regulations of 1999. The company was subsequently fined £40,000 and told to pay additional court costs of £5,950. 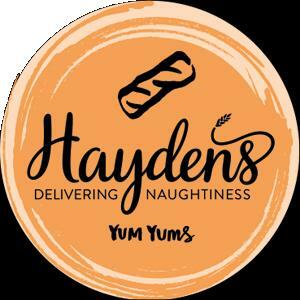 A spokesperson from Haydens Bakery said FoodManufacture.co.uk: “Haydens regrets the injured caused and supported the employee during his absence from work and recovery period. We are pleased that he was able to return to work.